Cystic fibrosis is a chronic condition that causes recurring, persistent lung infections that progressively limit your ability to breathe. Approximately 30,000 people in the United States are currently living with cystic fibrosis, with about 1,000 new cases diagnosed each year. Every state in the US is now required to screen newborns for cystic fibrosis, yet most people are still living with mistaken assumptions about the disease. Here are some of the most common myths and misconceptions about cystic fibrosis. Cystic fibrosis is not a disease that you can “catch” by being around or having contact someone who is affected by it. This condition is a genetic disorder that is inherited from both parents and is caused by a mutation (defect) in the gene that regulates the movement of salt in and out of cells. There are many different types of defects that can occur, and the type of defect will be directly associated with the severity of the condition. People with cystic fibrosis won’t live to be adults. Though this might have been true in the past—fifty years ago, children with the condition weren’t expected to live past kindergarten—today, medical advancements have made it possible for patients with cystic fibrosis to live at least into their 30s or 40s. In fact, nearly half of the population living with cystic fibrosis is 18 or older, with the median survival age of around 37. Depending on the severity of their disease and how well they are managing their condition, some patients even live into their 70s. People with cystic fibrosis are always sick. While people living with cystic fibrosis will have a daily routine including breathing treatments and taking medications in order to stay out of the hospital, this does not mean that they are sick all the time. 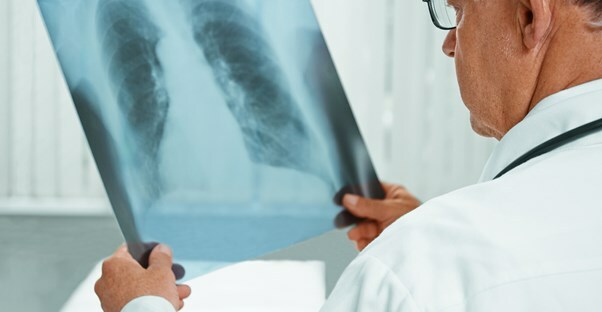 Lung infections will typically happen a few times throughout a year, which can become serious, but this is not a regular occurrence. Most of the time, living life with a disability such as cystic fibrosis will only hold you back as much as you allow it to. If you are able to find the right balance, then there are very few things that you won’t actually be able to do because of your disease. Cystic fibrosis causes you to be underweight. About 90% of patients with cystic fibrosis are unable to produce enough pancreatic enzymes, which affects the way they digest their food. As a result, most people with cystic fibrosis are unable to absorb all of the fat they eat, which can lead to malnutrition if they don’t eat enough. Because of this, patients do tend to be on the smaller side; however, it would be more accurate to say that the weight of someone with cystic fibrosis tends to fluctuate depending on how healthy they are at any given time. Getting sick will likely cause you weight to drop significantly, but as you regain your health, you will generally make your way back to your regular weight again as well. Cystic fibrosis should not be treated with antibiotics. In the past, some physicians have withheld antibiotics from cystic fibrosis patients in the fear that their bodies would build up a resistance, eventually leading to antibiotics being ineffective for them. However, recent research has shown that this rarely occurs, and if it does, there are plenty of alternative antibiotics available. Therefore, regular regimens of antibiotics can be very helpful for improving the quality of life for someone with cystic fibrosis and they should always be available to them for this reason.